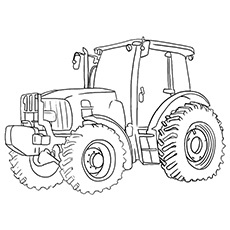 It makes tractors, heavy equipment, construction and agricultural machinery. 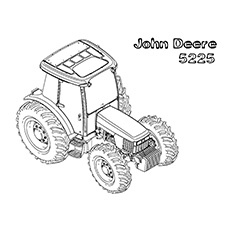 Named after its founder John Deere, an inventor, the company is more than a century old. The logo of the company is a leaping deer, which is portrayed in different colors for different products. 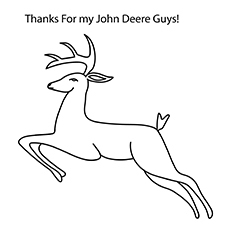 The slogan of the company is “Nothing Runs like a Deere”. This one is good for introducing your kids to the kind of heavy equipment that is used in farms. Apart from coloring your kids can also learn to spell the numbers and words that are printed on the page. This is a simple image and appropriate for toddlers. Using the colors yellow and green, your tots can fill up the picture as well as the words. With this image you can show your kids the different parts of a tractor and teach them about the machine. This is a good piece to practice controlled coloring by filling in small parts of the tractor. Here’s a funny image that kids will love. 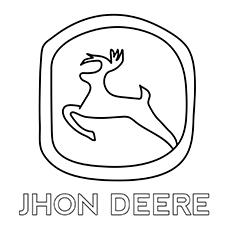 The mascot of John Deere, a beautiful deer, is seen riding a tractor. The symbolical image can be colored by using a variety of shades. 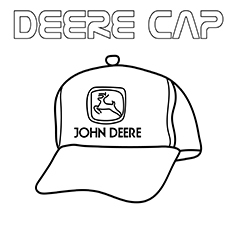 The cap has the words John Deere printed on it. It also has the logo of the company. As your kids paint the picture, you can make a similar cap for them that they will love wearing. Just the deer is the focus of this page. In a typical stance, the deer looks superb and can be colored in detail. This image will teach kids to identify the animal, as well as spell the words printed on it. 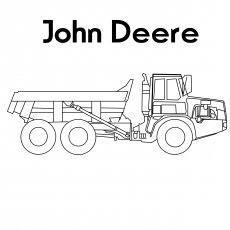 This page has Deere Dump Truck. 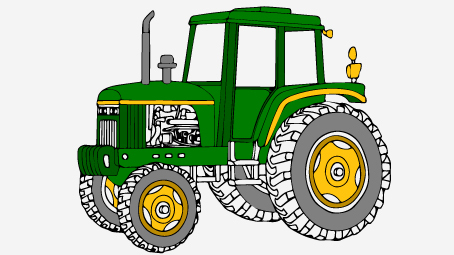 Ask kids to learn about the different parts of the tractor. Another task can be to find where the model number is written. The jacket can be colored creatively. 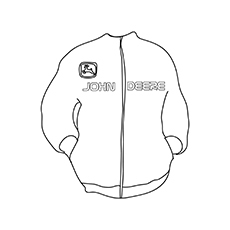 It also has the words John Deere stitched on it. 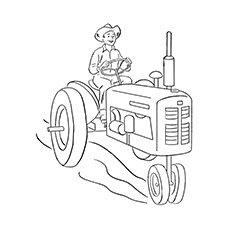 This image shows a man driving a John Deere tractor. The machine is the D140 lawn tractor. 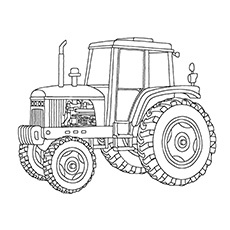 As your kids fill colors, you can tell them about the kind of work that farmers and gardeners do using tractors. 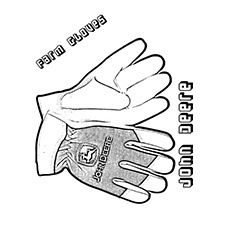 Farm gloves are an essential part of the farming gear. Kids can learn that these gloves protect hands from mud, sharp stones and insects. Ask them to paint the gloves using John Deere colors, yellow and green. The logo and the name of the company on the gloves make them even more attractive.